The 2002 Cy Young Award winner had three All-Star seasons in Oakland but was he deserving of the biggest pitching contract in MLB history at the time? The San Francisco Giants thought so and agreed to pay the lefty $18 million per year. 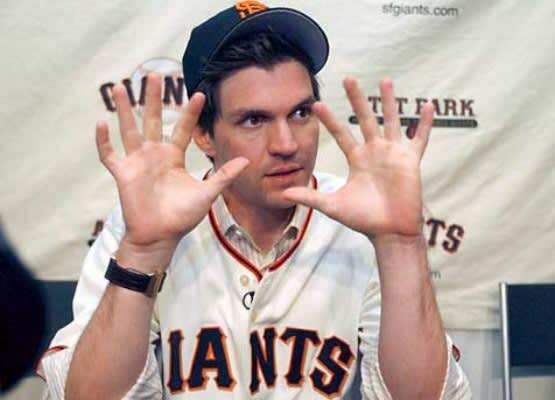 Since then, Zito has put up a record of 43-61 with an ERA of 4.52. The agent behind such a ridiculous contract? None other than Scott Boras. Yup, we're pretty sure dude has this on repeat anytime he thinks about the Zito deal.